Most longtime aquarists are as familiar with the great lakes of Africa as they are with their own home towns. We know Malawi, Victoria, Tanganyika and the unique species found in each. But mention Cambodia’s Tonlé Sap lake—one of the most biodiverse tropical freshwater ecosystems on earth—and very few would have any idea what or where on earth that might be. This great lake, considered to be “the beating heart of Cambodia”, is a remarkably unique body of water which happens to be home to dozens, if not hundreds, of popular aquarium fish species. 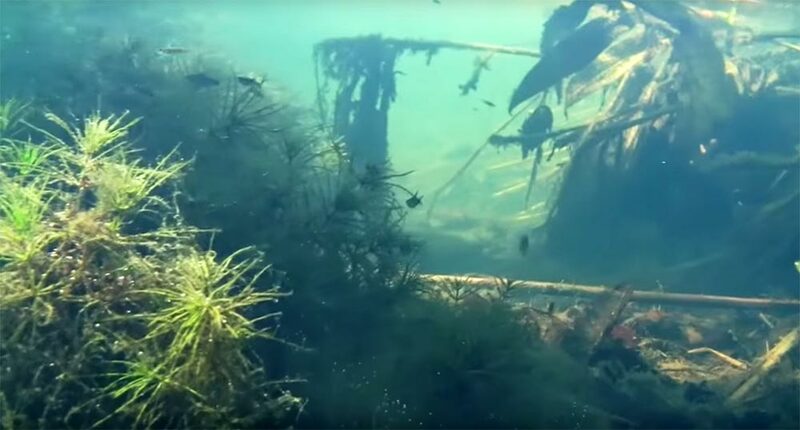 I recently had the chance to visit this ecosystem for the first time and came away with a newfound respect for the lake and its inhabitants as an aquarist. 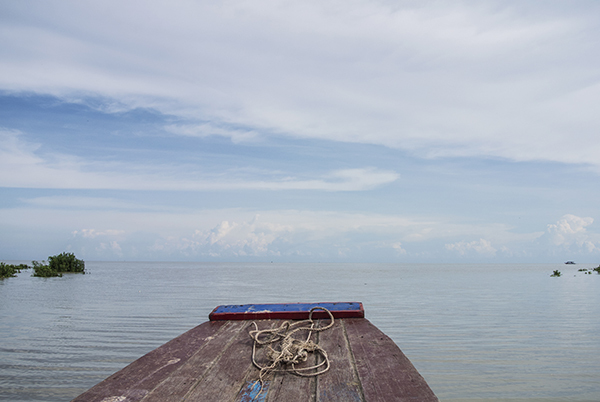 Situated in a floodplain in Southwestern Cambodia and bounded to the South and West by mountains, the Tonlé Sap Lake undergoes a remarkable transformation each year in what is perhaps one of the strangest hydrological cycles of its kind. During the roughly 6-month long dry season, the lake retains a low water level and a surface area of around 3000km². The lake drains out through the river of the same name until it flows into the Mekong at Phnom Penh. The annual monsoon rains that usher in the rainy season in Southeast Asia have a profound effect on the lake. 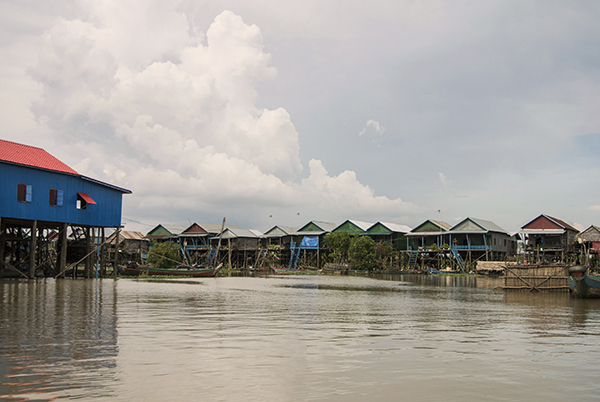 As the region’s rivers swell with snowmelt from far to the north and heavy rainfall, the Mekong actually floods into the Tonlé Sap River and the huge inflow of water causes this river to reverse its flow—backwards—into the lake. This reversal of flow begins around June or July and local Khmer (Cambodian) people mark the occasion with an elaborate ceremony dating back hundreds of years. It is during this several month period that the otherwise unremarkable lake grows to truly great proportions, overflowing its boundaries and flooding hundreds of square kilometers of the surrounding forests. The total surface area expands fivefold to almost 15,000 km², and just like the rich floodplain of the Amazon, the Tonlé Sap’s vast submerged forests transform into one of the most incredible freshwater fish spawning grounds on earth. 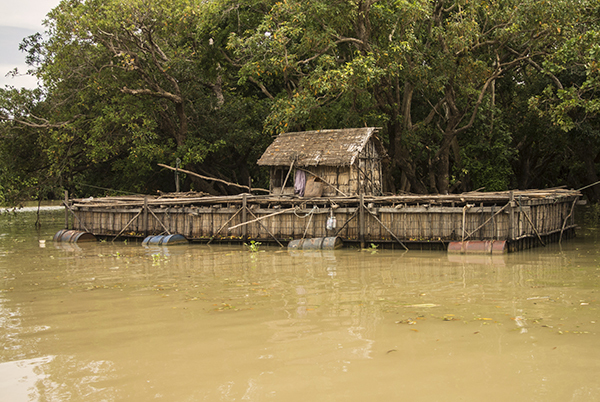 Flooded with sediment- and nutrient-rich waters from the Mekong, the lake becomes a frenzy of activity as hundreds of species of insects, shrimp, and fish hurry to reproduce while conditions remain favorable and food plentiful. Their massive spawns draw in larger species from the Mekong itself, to both feast on the widely available prey and begin their annual spawning as well. The immensely productive waters immediately post-flood ensure that the fry of large-growing species like Datnioides, Wallago, and Mekong Giant Catfish (P. gigas) have ample food to grow. When flooded, zooplankton (rotifers, etc.) in the lake are over 100 times more abundant than in the nearby river channel. 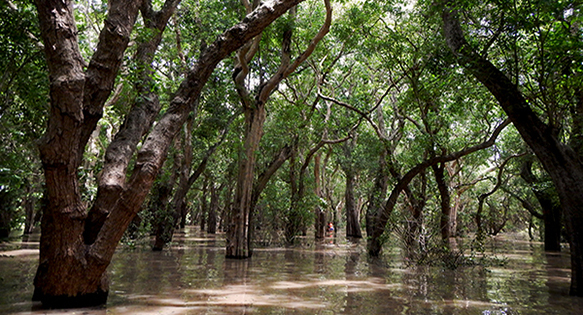 The flooded forests surrounding the lake become hotbeds of aquatic life, as the partially submerged trees provide shelter with their canopies, structure in the form of roots and branches, and plentiful food in the form of leaves, fruits, nuts, and even bark—all of which are consumed in significant quantities by native fishes. This unique habitat type could be replicated in an aquarium to great effect, and on nearly any scale—from a nano tank focusing on the shallows of the lake and populated by any number of small barbs, rasbora, or even killies, to a massive aquarium using large driftwood to simulate the submerged trees and housing some of the lake’s “monster fish”. Conditions in the flooded forest are generally easy to recreate in an aquarium—still, warm water, soft sand or clay substrate, and dim lighting as a result of partial shading by the canopy. Aside from being fairly intolerant of organic waste, most fish found in the lake are undemanding captives and will accept a wide range of water parameters. 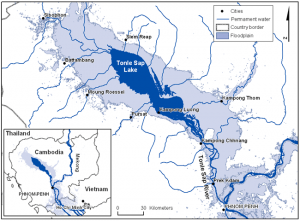 The Tonlé Sap lake is considered a critical spawning ground for dozens of IUCN-redlisted species, many of which undertake massive migrations each year synchronized with its yearly flood. At its peak, the lake is home to well over 1200 fish species, from nimble Microrasboras and Bettas darting around the shallows to giant carp and freshwater stingrays which inhabit the lake’s deeper regions (10 meters or more). A diverse array of other fauna also inhabits the lake, ranging from crocodiles and pythons to freshwater crabs, turtles, and bivalves. Dozens of rare and endangered bird species also call the lake home, and it is known to contain the largest breeding aggregation of water birds in all of Southeast Asia. 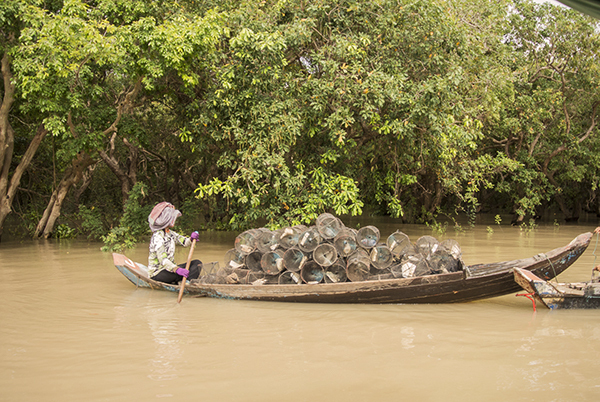 Unsurprisingly, this highly fecund ecosystem supports more than just fish—literally millions of Cambodians rely on the Tonlé Sap’s fishery for income and sustenance. Each year a frenzy of fishing activity coincides with the different stages of the lake’s cycle, with fishers using both traditional and modern methods to take advantage of the seasonally available aquatic bounty. The introduction of more intensive fishing methods and a growing population have put immense pressure on this fishery, with predictably worrisome consequences. Both local fishers and biological field surveys have recently reported sharp declines in several of the large keystone species of the fishery, especially in large carps (C. siamensis, P. julieni) and Pangasiid catfish (P. gigas, P. hypothalamus). Because of the volume and complexity of this fishery, it is difficult for scientists to fully assess, but many indicators point towards a general decline in recent years, and not just due to overfishing. Heavy deforestation of the lake’s floodplain for agriculture and timber have had a negative effect as it removes important spawning sites and “nursery” areas for young fish, as well as increasing sedimentation in the lake. The combined pressures of overfishing and habitat destruction are sadly all-too-common in Southeast Asian freshwater ecosystems, and at the moment it appears the future of this lake—unique in the world and a major component of the greater Mekong river system—is anything but certain. In spite of this, the Tonlé Sap represents a great challenge to any aquarist looking to recreate a fascinating and incredibly biodiverse aquatic habitat rivaling that of any tropical body of water on earth. Many aquarium suitable fish native to the lake are commonly bred in captivity, and collection of fish for the aquarium trade does not occur within the lake, so creating a Tonlé Sap biotope aquarium would certainly not have a negative impact on this ecosystem–and it may very well have some positive effects, such as raising broader awareness about this amazing lake and its inhabitants. I would encourage anyone interested in learning more about the Tonlé Sap to browse through the papers and articles below. HOGAN Zeb S., EM Samy, TACH Phanara and Kent G. HORTLE (2006) Tagging fish — a case study from the Tonle Sap, Cambodia. MRC Technical Paper No.12, Mekong River Commission, Vientiane. HAP, N., SENG, L. and CHUENPAGDEE, R. 2006. 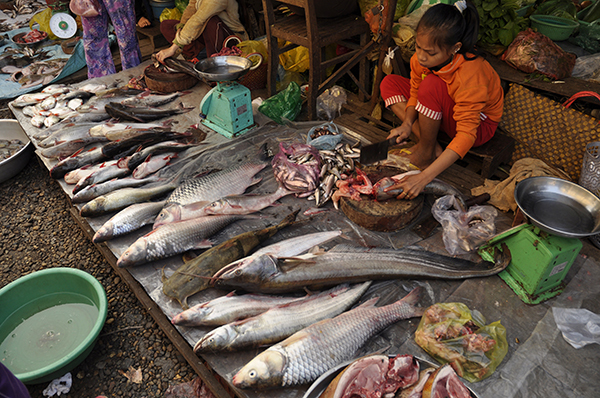 Socioeconomics and livelihood values of Tonle Sap Lake fisheries. Inland Fisheries Research and Development Institute, Phnom Penh, Cambodia.